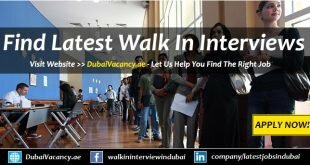 For all those individuals who want to live and find jobs in Sharjah, here you can find the best possible opportunities. Dubai is considered as the land of opportunities and Sharjah is one of the most business oriented cities. Once you will succeed to get a job in Sharjah, you will get successful in your career. People come from different countries and find jobs in Sharjah because they get better pay scale here and even they get many other facilities that they may not find in other cities or places. 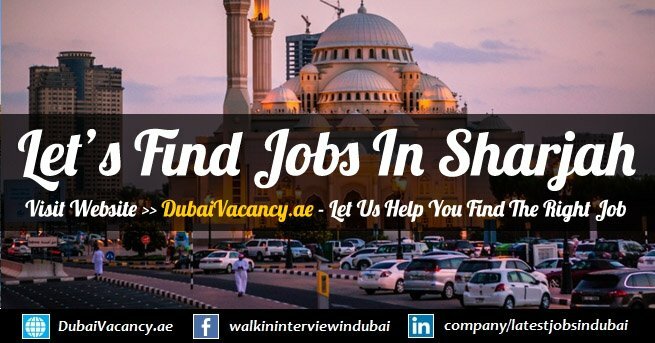 If you have been looking for job vacancies in Sharjah whether as an experienced person or as a newbie, you are going to find the best we can see is here. All the job vacancies offer you the most attractive packages so that you can not only afford your personal expenses while living in Sharjah but you can earn a better living for your family. Why not to shortlist the most relevant job vacancies and then to start applying! Whether you are a male or a female, you will be able to start better and secure career in all aspects; your pay scale will be good, environment will be very professional and you could find jobs very near to your accommodation.